This site is owned and operated by Kade Media Ltd., a company registered in England and Wales with company number 11508022, with registered address Kemp House, 160 City Road, London, United Kingdom, EC1V 2NX and references below to “Kade” are to Kade Media. Our trading address is being updated at the moment. 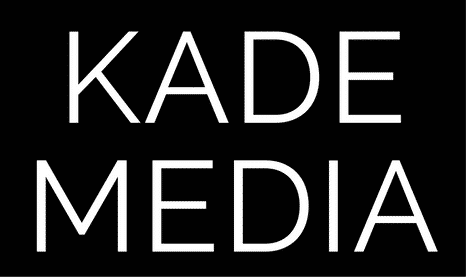 Kade Media endeavours to maintain the service as being free from defects but is not responsible or liable for any consequential loss or damage (whether for loss of profit or otherwise) for any errors or omissions within the service. Kade Media retains the right to make changes to content without prior notice. Kade Media has no control and can provide no guarantee as to the accuracy or quality of the information of sites linked to. As such Kade Media in no way endorses the information contained therein or acts as an agent for the operators of the sites or bears responsibility or liability for the use or effect of the content of those sites or bears any liability for purchases of goods or services from those sites. Kade Media expressly prohibits the dissemination of this information by any person or organisation accessing this site to any third party (for profit or otherwise) or any other commercial exploitation by any such user. Use of this material is at the sole risk of the user and neither Kade Media nor its information providers gives any warranty that the supply of information is uninterrupted or accurate. You agree to indemnify and hold Kade Media and its subsidiaries, affiliates, officers, agents, co-branders and other partners, and employees, harmless from any claim or demand, including reasonable attorneys’ fees, made by any third party due to or arising out of your use of the Services, your connection to the Service, your violation of the Terms, or your violation of any rights of another. This contract shall be governed by and construed in accordance with the laws of England without regard to conflict of laws principles. These Terms as amended from time to time, set forth the entire understanding between you and Kade Media and supersede any and all prior or contemporaneous agreements or understandings between you and Kade Media, whether oral or written, as to the subject matter of these Terms. If any provision of these Terms or the application thereof to any person or circumstances shall to any extent be held to be invalid or unenforceable, the remainder of these Terms, or the application of such provisions to persons or circumstances as to which it is not held to be invalid or unenforceable, shall not be affected thereby, and each provision shall be valid and be enforced to the fullest extent permitted by law. You hereby consent to the exclusive jurisdiction and venue of courts in England regarding any and all disputes relating to these Terms, your use of the Site or the Services. No waiver of these Terms will be valid, except in the event that the waiver is in writing and signed by an officer of Kade Media.